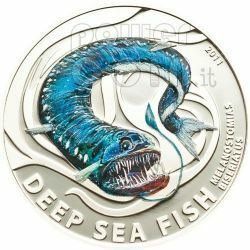 The fifth and the last release from "Deep Sea Fish" series, marks the commonly called Pelican Eel (Eurypharynx Pelecanoides), struck of sterling silver in proof quality, the coin is issued as legal tender under the authority of the Government of Pitcairn Islands. 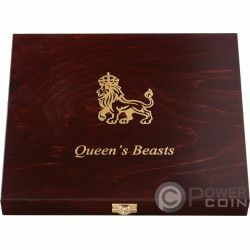 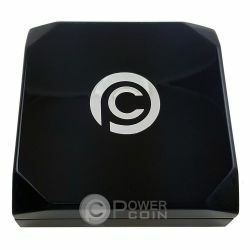 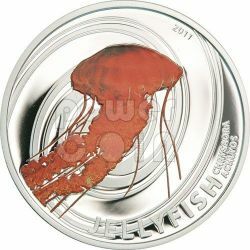 The third release from "Jellyfish" series, marks the Chrysaora achlyos also knows as black jellyfish due to its dark coloration, struck of sterling silver in proof quality, the coin is issued as legal tender under the authority of the Government of Pitcairn Islands. 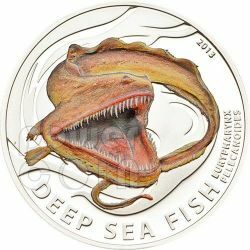 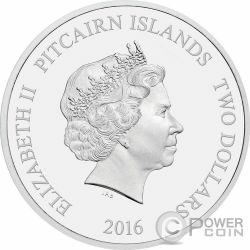 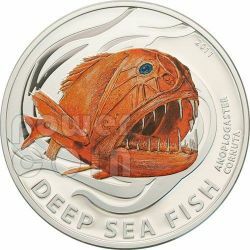 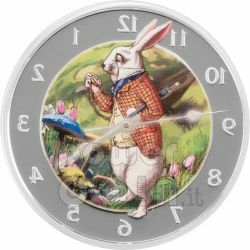 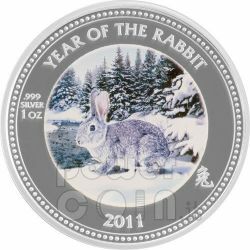 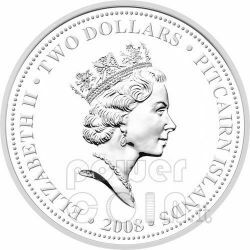 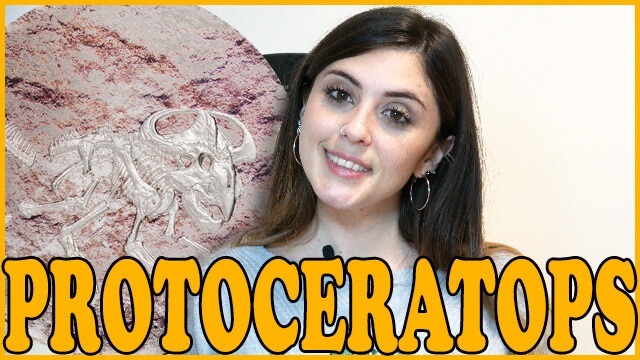 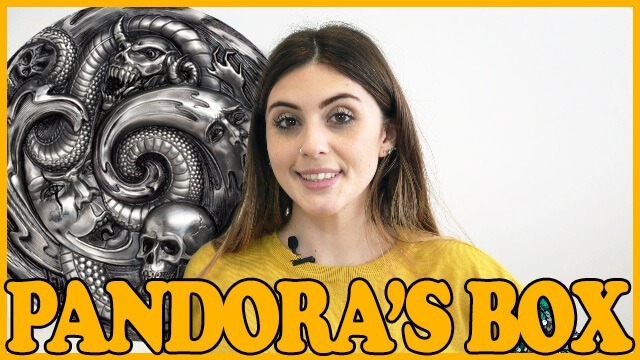 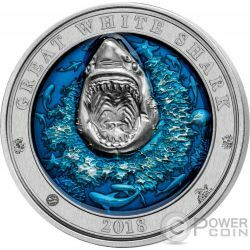 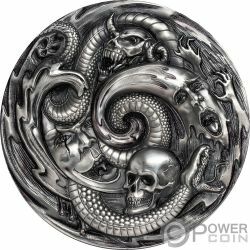 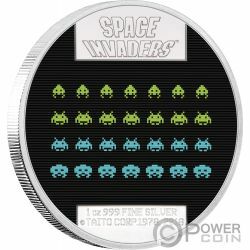 The fourth release from "Deep Sea Fish" series, marks the commonly called Fangtooth (Anoplogaster Cornuta), struck of sterling silver in proof quality, the coin is issued as legal tender under the authority of the Government of Pitcairn Islands. 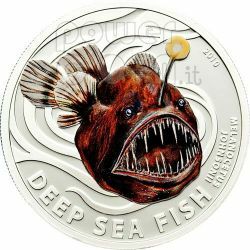 The first release from "Deep Sea Fish" series, marks the Melanocetus Johnsonii commonly called Humpback Anglerfish or Black Seadevil, struck of sterling silver in proof quality, the coin is issued as legal tender under the authority of the Government of Pitcairn Islands. 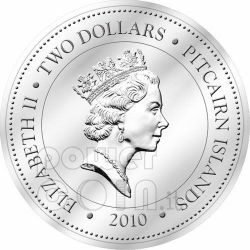 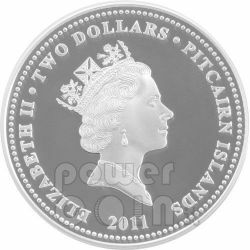 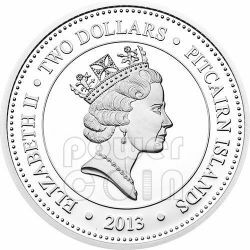 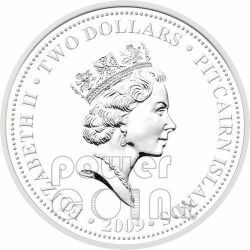 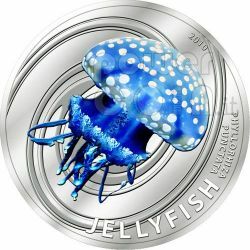 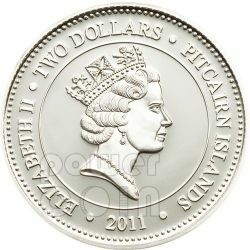 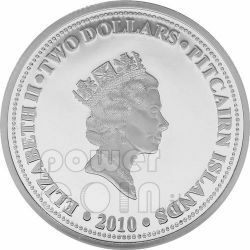 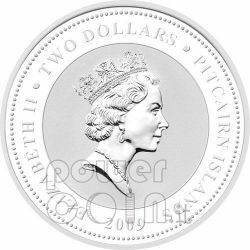 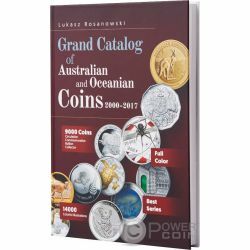 The first release from "Jellyfish" series, marks the Phyllorhiza punctata commonly called White-spotted jellyfish, struck of sterling silver in proof quality, the coin is issued as legal tender under the authority of the Government of Pitcairn Islands. 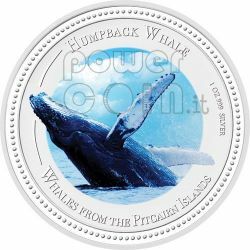 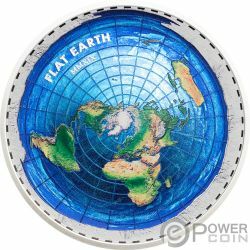 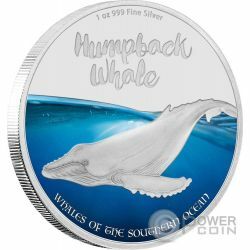 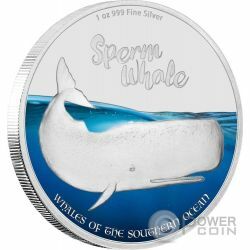 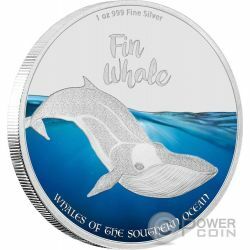 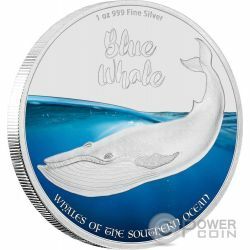 New Zealand Mint presents this coin issued by Pitcairn Islands to honor the majesty and power of humpback whale. 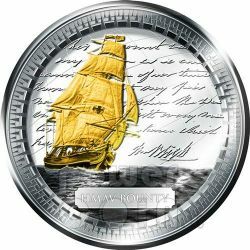 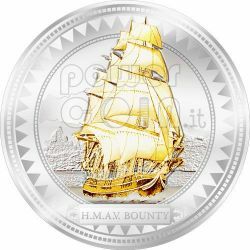 By exclusive arrangement with Pitcairn Islands, New Zealand Mint presents a gold gilded silver coin 1oz featuring the replica ship built from the narrative details of captain of Bounty, Lieutenant William Bligh. 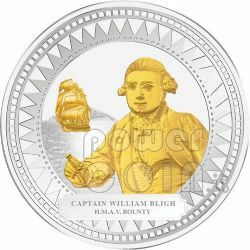 Following the historic mutiny, Captain Bligh was set adrift in a small open boat in which he found his way back to England via Timor. 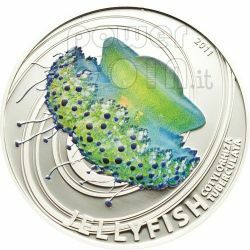 The second release from "Jellyfish" series, marks the Cotylorhiza tuberculata also knows as Mediterranean jelly or fried egg jellyfish, struck of sterling silver in proof quality, the coin is issued as legal tender under the authority of the Government of Pitcairn Islands. 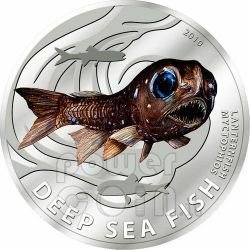 The second release from "Deep Sea Fish" series, marks the commonly called Lanternfish, struck of sterling silver in proof quality, the coin is issued as legal tender under the authority of the Government of Pitcairn Islands.